Is Gravity Trampoline Park in Xscape Milton Keynes the best in Bucks? Is this the best trampoline park in Bucks? According to my 9 and 11 year old reviewers, er, YES! Here's what to expect if you float up to the new bounce park Gravity in Milton Keynes. I thought there could never be a contender for the super-pro Rush trampolining in High Wycombe. Turns out I was wrong. I took my kids (9 and 11) to Gravity Trampoline Park in Milton Keynes just before Halloween, and they have given it the edge on its mid Bucks rival. 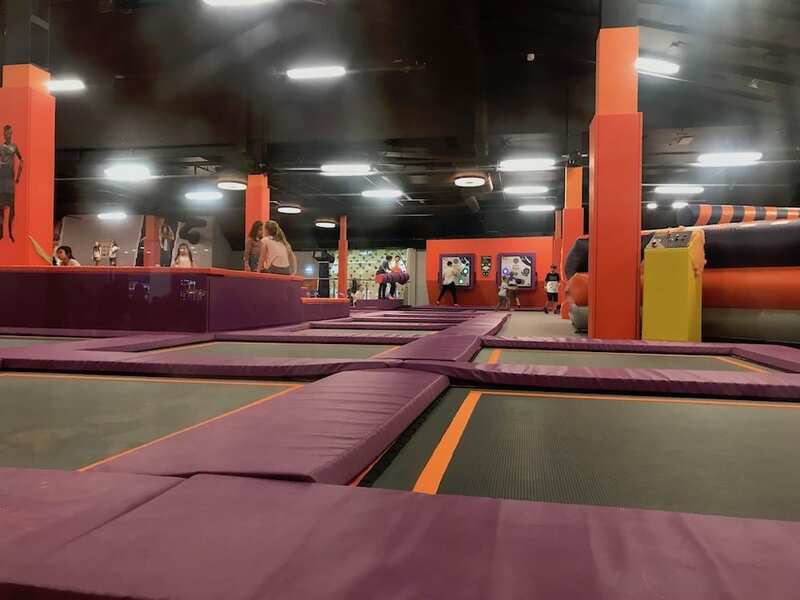 The trampoline element itself is slightly smaller than Wycombe though it has the bits the kids love best – wall to wall trampolines, slam-dunk, dodgeball, a huge air bag to jump into and also 10 minutes every hour where it turns into a party with laser lights. But actually there are two weapons in Gravity’s arsenal that have trumped Rush. 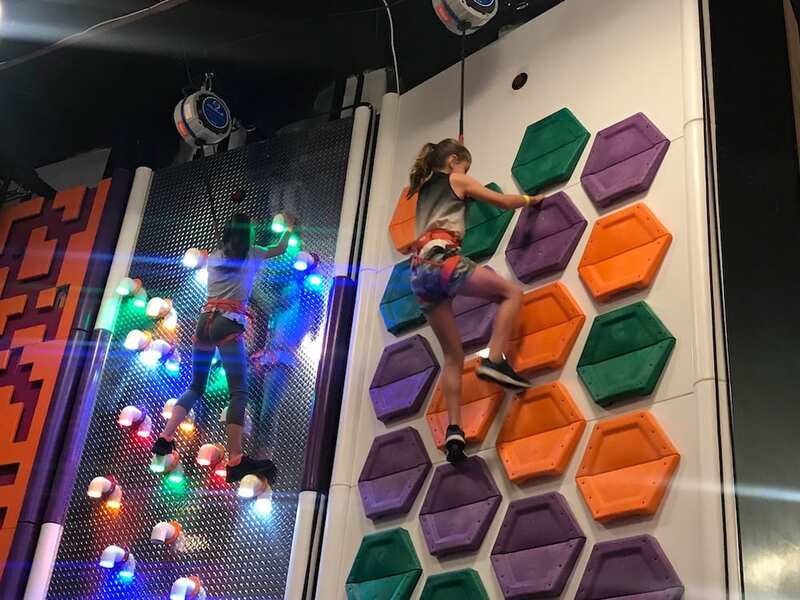 Firstly, there’s a fantastic climbing wall within the Gravity space, and though none of children had tried it before, they absolutely loved it. It’s super safe – you can’t actually move off the ground until the rope is removed from the pad on the floor and been properly attached to your harness – but it’s also created with fun in mind. So at the top of each climbing wall, there’s a Ninja Warrior-style button light you can press when you reach the top, or to just beat who you’re racing against (these are kids after all). The climbing session lasted an hour and the kids were knackered. But they absolutely loved it. I had a ticket to have a go myself, but the wall is to the left of Gravity as you queue for your tickets, and the thought of seeing the Muddy posterior harnessed up and cascading from either side, with a view from below was too much – meh, so sue me! Also, I’d been bought a very nice flat white and, y’know *cough* needed to take some photos for this review. And there endeth my excuses. The second reason why your kids will adore this place is because there’s a giant Slushy machine area. Once you’ve gritted your teeth and bought one drink for £4.95 it’s then refillable for the whole session. My children have never loved me so much than in the moment where I handed them both a plastic straw container and told them to fill those babies sky high. 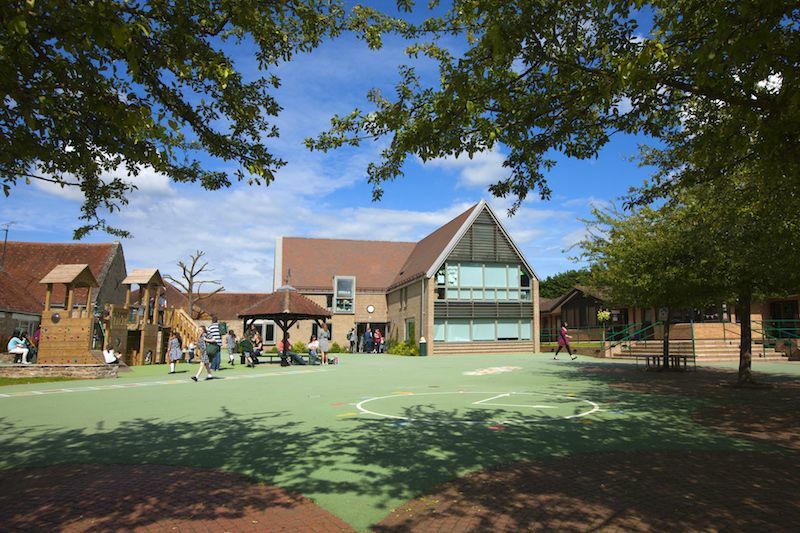 One word of warning – the café feels very ‘canteeny’ and lacking in atmosphere so if you’re imagining hanging out chatting over a brie and grape panini while your children make like Cliffhanger on the other side of the room, think again. 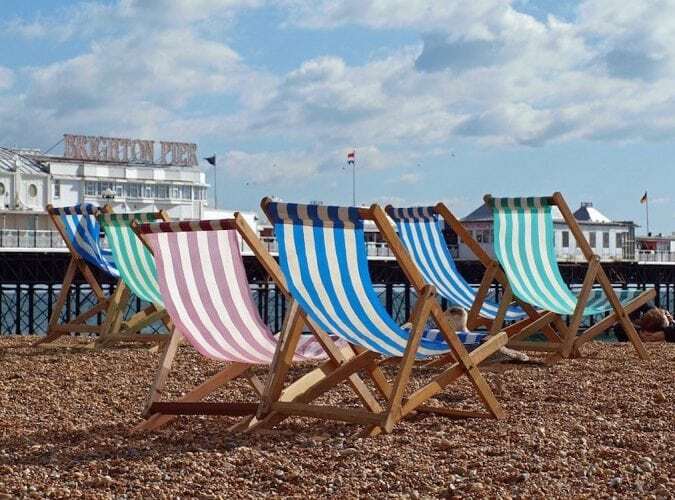 But think of it like a leisure centre-style pit stop and you won’t be disappointed. 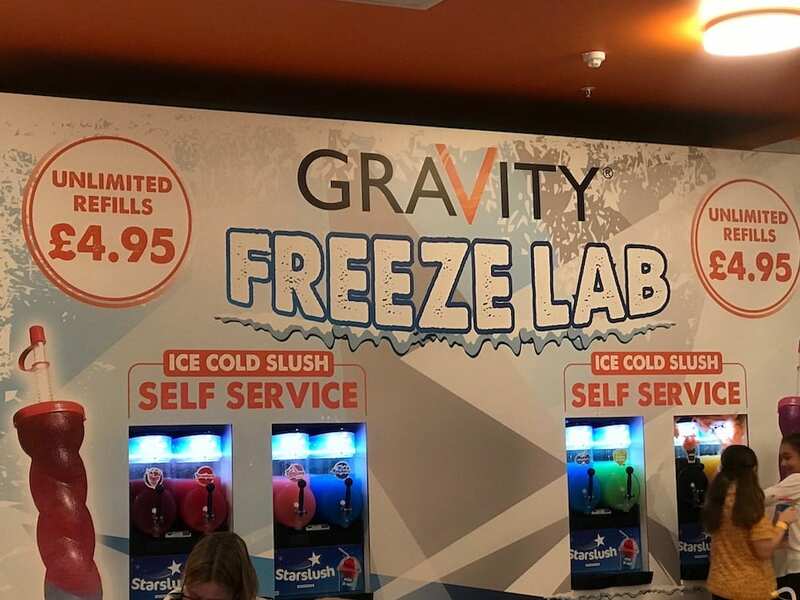 Gravity is fairly new – just opened in late summer – and is the latest round in Xscape’s activity arsenal where you’ll already find indoor skiing, skydiving, VR and bowling. Throw in the cinema, eating staples like Wagamama and Pizza Express, you can basically stay holed up here all day. 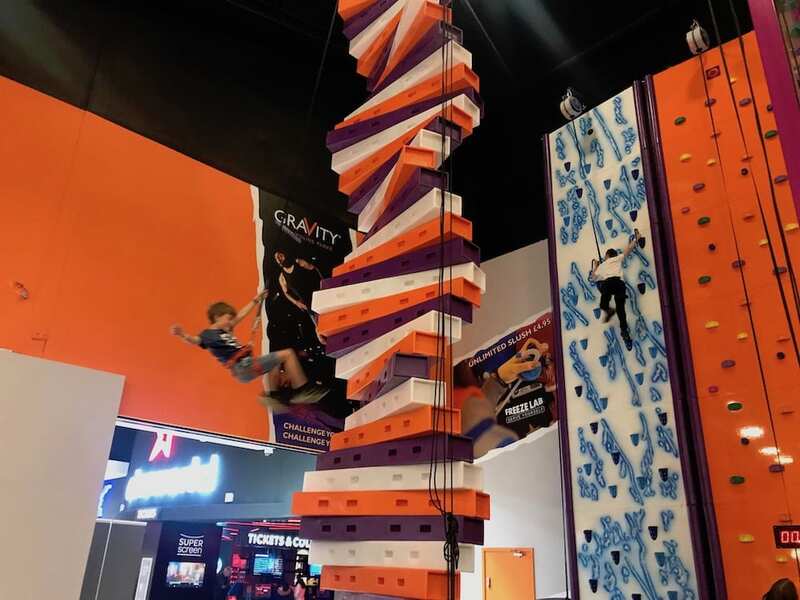 There’s no doubt that when crave light when you finally leave the Activity Centre but with winter approaching Xscape is actually an amazing facility where kids can do a range of cool, alternative activities all day inside. Will I return to Gravity? Undoubtedly. Probably with sunglasses (the bright orange at every turn is wearing on eyes older than 16). 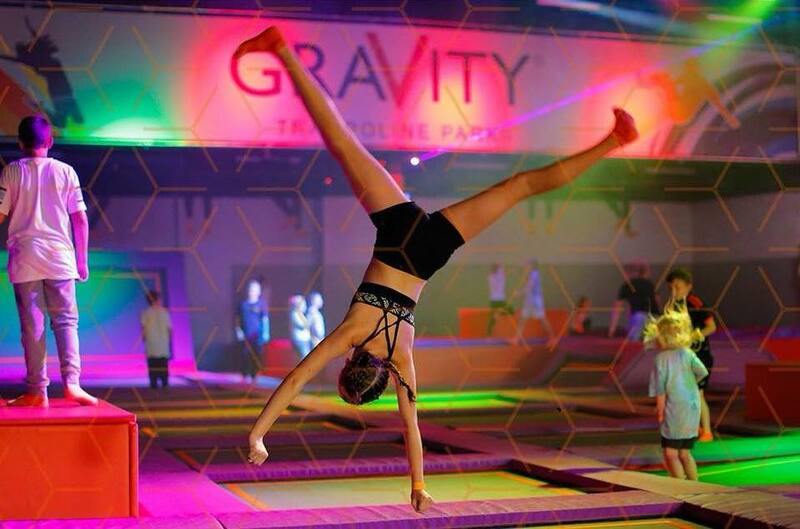 It’s great for teens with a Friday Gravity Glows session (7-10pm) with a live DJ, or for parties for younger kids, particularly if you combine the climb and trampoline elements as we did. Be warned: if you’re planning a holiday in the snow soon, your other half might sneak off for the whole frickin’ time to check out Ellis Brigham, Dare2B and all the other ski specialists in the building. Mr Muddy, you’ve tricked me once. Next time I’ll beat you to it.